Want to create art or take a class on the weekends, but don’t have time? 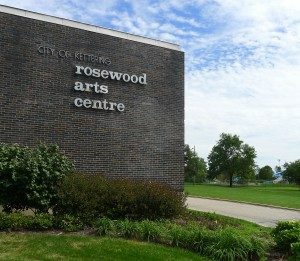 Good news – Rosewood Arts Centre is piloting new extended hours, starting January 2, 2018. Cultural Arts Division Manager, Shayna McConville, gave us the details. What are Rosewood’s hours under the new schedule? Rosewood’s hours will be Monday through Thursday, 9am – 9pm; Friday, 9am – 6pm; Saturday, 9am – 5pm; and Sunday 12pm – 5pm. Previously, Rosewood was open until 3pm on Saturdays and closed Sundays. Are the new hours permanent? We are considering this a trial year, with extended hours January – April, and then September – December 2018. We’ll revert back to our “old” hours during the summer months to accommodate business as usual, namely summer camps. Why did Rosewood decide to change the facility schedule? We responded to requests from several different sources for additional weekend hours – our Program Advisory Committee and the PRCA resident survey results from 2013 and 2017. We also recognize that many patrons work during the week, and aren’t able to participate in programs or drop-in studios until the weekend. A lot of parents mention that other commitments, like sports, have made our current weekend schedule difficult, as we currently close early on Saturdays and are closed on Sundays. What new programs are coming up during the extended hours? We have several new programs on the books for Saturday afternoons and Sundays this winter, including kids’ sewing classes, Family Clay Workshops, and another class section of Intro to Wheel Pottery. Dayton artist Andrea Starkey will also be teaching a Saturday/Sunday workshop this winter. How will Rosewood gauge success on the new hours? By how many participants sign up for the new class offerings or participate in open studios. We are excited to see if there is a demonstrated interest in weekend hours through enrollment and participation. We want to encourage our community to be creative and being open and accessible during additional hours can certainly help us achieve that!